The New Year saw a fresh start for one of the UK’s largest fabricators, Garrard Windows, as it switched to using Liniar profiles for its uPVC products. With a turnover approaching £20m and 170 staff operating out of an 86,000 ft² factory in Buckinghamshire, Garrard’s window and conservatory trade customer base spans the whole of the South of England. This successful firm has grown substantially since it was formed in 1997 and its changeover to Liniar looks set to help take the business forward even further in 2015. “If you manufacture and supply direct to retail, where you deal with new customers all the time, that is where the scary part ends. But if, like us, you supply only to regular trade customers, the reaction of your customers can act as more of a deterrent than the effects on your factory and staff. In my experience, the phrase “People don’t like change” is particularly true of window installers! “However, the world is constantly changing. New products are designed and old ones are developed, and the window industry should be no different. With the general push to save energy, there have been massive developments in glass technology in recent years – yet many profile companies seem content to sell products virtually unchanged from the product they were selling 20 years ago. “At Liniar, things are different. I’ve known Roger and many of his team for over 20 years. He has what he calls a ‘flat management structure’, which means there is an absolute minimum of management ‘layers’. This means that whoever you are dealing with at Liniar you will never be far away from Roger. He is very much a ‘hands on’ MD and is always looking for new ways to improve and innovate. “Many windows manufacturers see things that profile companies (because, let’s face it, they don’t make windows!) don’t see, or hadn’t thought of. In my experience, profile companies in general will at worst totally ignore you, or more commonly will ‘fob you off’. How many times have you heard the phrase “Really? No-one else has ever complained about that!” when you know the whole customer base must be experiencing the same issues? “Since first entering discussions with Liniar, we’ve found they simply couldn’t do enough for us. We saw the benefits of the Liniar system, but at the same time wanted to give our customers an ‘edge’ with some alternative products that would be bespoke to Garrard. Roger literally lent us his technical design department to help us design our own suite of bay poles, posts and couplers, which we had in stock in time for the change. More recently, they have helped us design some new aluminium thresholds, which we will be rolling out over the coming months as they come into stock. “At Garrard we recognise that we are in a highly competitive side of the industry, where there will always be someone who can make a similar window just a little lower in cost. So whilst keeping our prices as low as we can, it is the product range and, above all, an excellent service, that we strive to offer. We have, for example, spent tens of thousands of pounds on machinery to bend profile – money that we may never fully recoup – so that our customers don’t have to wait weeks for arched products and then have to put up with something that is not really up to scratch. “Garrard’s values are similar to Liniar’s in that it really does try and treat the customer as King – to the extent that I frequently give out my mobile number, and as many can testify, even answer it whilst on holiday. So, as much as I didn’t want to force such a major change onto what is an incredibly loyal customer base (thank you all! ), I felt it was a case of “Move on or get left behind” for Garrard. “We are always conscious that we have to provide an exceptional service as many of our customers used to fabricate – which means that if our service isn’t up to scratch, they could easily switch back to making the windows themselves. This keeps us on our toes and helps us to find new ways to make it easier for these customers to buy from us. 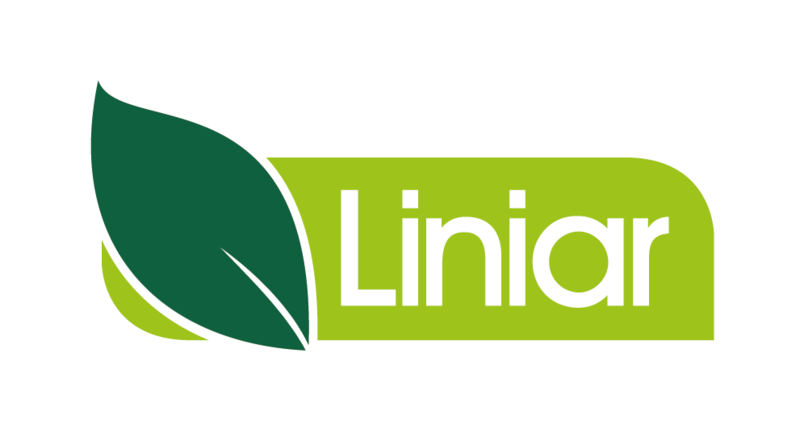 “Despite my fears, changing to Liniar has actually been a lot smoother than we anticipated. We brought in engineers to manage the process and switched over the Christmas period, so we were ready to hit the ground running in January.